Colchester Racing Developments Ltd, founded by Selwyn Hayward and continued by Clive Hayward, produced Merlyn racing cars from 1960 till 1979. During this time we built up our own machine shop to manufacture race car components. Machining and engineering for customers became a successful addition to the business and eventually CRD Tool and Engineering Ltd was formed. After more than 37 years of trading the decision was taken to close CRD Tool and Engineering in November. Clive continues to run Colchester Racing Developments Ltd. The manufacture and supply of all genuine Merlyn parts, including chassis repair and fabrication work, is not affected by this change. Simon Brown (Trackstar Racing Services) remains the Merlyn build specialist in the UK, he and Clive are the points of contact for any Merlyn based requirement that you may have. Congratulations to Sam Mitchell for winning the 2013 HSCC Formula Ford Championship and of course the Merlyn trophy in dad’s Merlyn MK20A. Sam didn’t have the best start to the season, but put all that and most of his competitors behind him to score six wins. 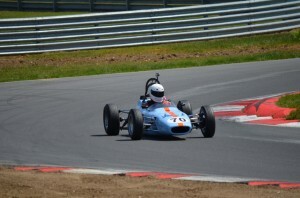 Sam first competed in Formula Ford in 2012 and won the Formula Ford section of the Classic Racing Car Championship. 2013 saw Jono Baines take that honour in his Merlyn MK 20, well done to him. 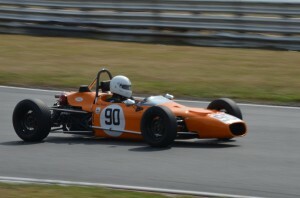 Well done also to Daniel Pickett who was Historic Formula Ford Novice Champion with his MK20 Merlyn. 2013 saw only a few entries for last year’s champion Callum Grant and a single start for Callum McLeod both drivers scoring wins in Merlyn MK20. It was nice to see Kevin Stanzl bring out his Merlyn MK 20 again after quite a few years and together with the stalwarts keep Merlyns as the most popular entrant. 2011 was the 50th year of Merlyn Colchester Racing Developments and saw Ben Mitchell in Dad’s MK 20 pushing Benn Simms hard for the HSCC Historic Formula Ford Championship, but not quite making it. Still I’m sure that Mum was pleased to see the Merlyn Trophy return to the Mitchell’s home. 2012 started badly and saw the passing of Selwyn who died at the age of 78 on 3rd of March following a long illness. 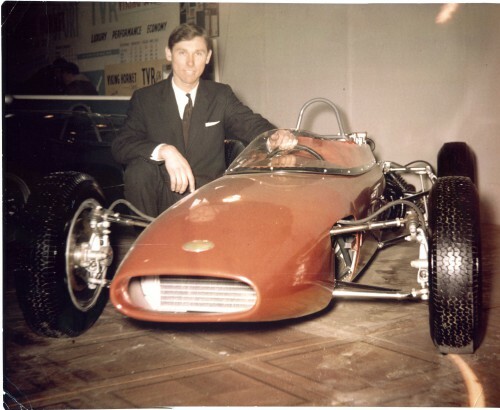 Selwyn had set up Colchester Racing Developments, designed the cars, built the first cars and throughout production was always ready to dive in with the welding torch when necessary. Selwyn was buried close to his home in his beloved South of France where he has lived since 1984. On a happier note Callum Grant has had a fantastic year in his MK20. 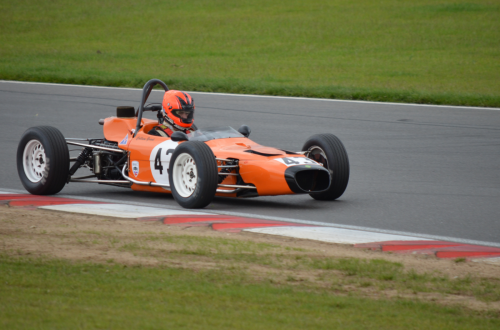 With 2 races remaining he cannot be overtaken in this year’s HSCC Historic Formula Ford Championship and in September he passed his driving test! The final 2012 HSCC meeting at Silverstone saw Stuart Baird take his first win this season in his MK11A to give him 4th place in the championship. Newcomer Josh West was third and a down on power 2012 champion Callum Grant was 5th. An amazing 11 Merlyns finished in the top 14 places. 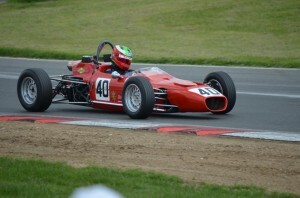 Sam Mitchell won the Formula Ford category of the 2012 HSCC Classic Racing Car championship in Dad’s MK20 with Martin Haines 2nd in his MK20. Joao Paolo Campos Costa won the French Historic Championship in his MK24 with Thierry Gallo 3rd in his MK20.